About Us - Browill Rewinds is based in Sheffield, UK. 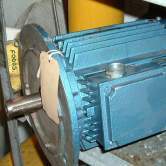 Established for over 27 years, and is one of the leading companies for electric motor rewinds, pump repairs electrical contracting, and suppliers of new / reconditioned electrical equipment. Our combined workforce has more than 200 years experience, and we are continually expanding our services to meet the needs of today's customers. We continually invest in technology to be competitive in both service and cost. 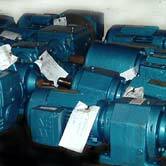 Our stock of new and reconditioned electrical equipment and electric motors is in excess of 3000. Our motor rewind department is widely respected in the area, for it's ability to repair electric motors, pumps, magnetic chucks, etc, from small single phase motors, to large squirrel cage, slip-ring, and D.C. motors, up to the company lifting capacity in the workshop of 5 tonnes. In addition to our rewind shop, isour small coil shop, where we can rewind small single solenoid coils, to multiple orders of magnetic coils. We are the main distributor and supplier of TEE ELECTRIC MOTORS, and spares. 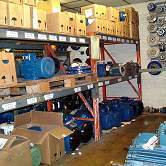 In addition to our electric motor rewind shop is our pump repairs, here we undertake repairs for all surface and submersible pumps, from Lowara, Worthington Simpson, Flygt, Grundfos, etc. We have the resources to replace old seal kits and overhaul, to full repair, rewind, and test a complete pump. We can also supply a range of new pumps, from:- GRUNDFOS, LOWARA, FLYGT, EBARRA, DAB NOVA, WORTHINGTON SIMPSON, CEMO, SANDPIPER and MONO PUMPS. Our electrical contracting department is capable of carrying out electrical installations, fault finding, electrical and mechanical work on-site, we are widely known in the area for reliable, honest, and trustworthy work, at very reasonable rates. We can carry out most projects from lighting, office electrical installations, to industrial electrical installations and P.A.T. testing.